We've been serving Northwest Arkansas for over 40 years now. We offer several distinct services that you can explore below. Truck-mounted hot water extraction cleaning serves as a necessary step in sanitizing your carpet and removing allergens and dust-mites. You loved your wood floor when it was new, but now it has lost some of its luster. The original appearance of your wood floors can be restored with our specialized process. We clean rugs from around the world. We provide expert hand-washing and repair of your valuable Oriental and area rugs. Cleaning tile and grout with a mop and brush is both frustrating and grueling. Let us show you how clean your floors can be with our deep cleaning and extraction process. 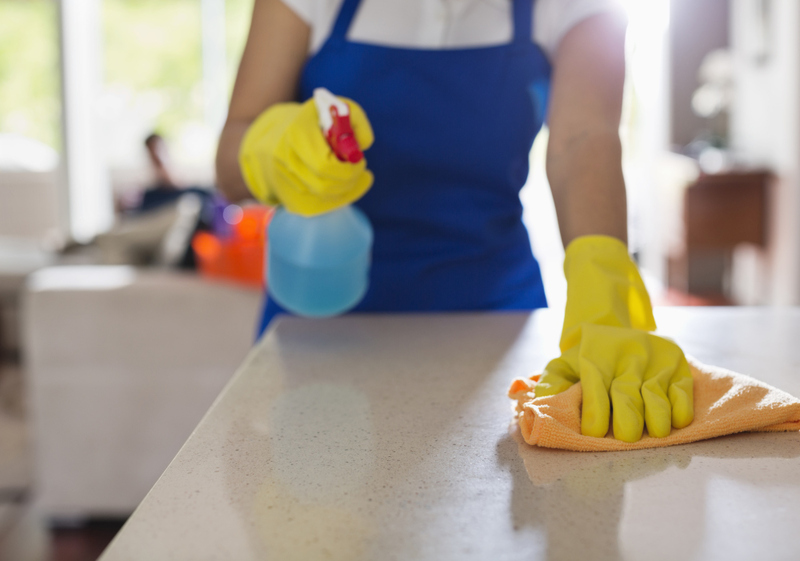 We provide a number of professional cleaning services for your place of business. Click here to explore them all. Whether it's spots and spills or just general soiling, our upholstery cleaning process can safely restore the appearance of any of the fabrics on all of your furniture.